It’s an amazing achievement for a guy who dropped out of high school after Year 10… not because he was lazy or not smart enough, but because he wanted to help his single mother who was struggling financially to raise him and his four siblings. The Strand youth worked at construction companies, the community scrap yard and as a gardener. One day, while working in the garden, his boss asked him to sit and have a chat over some food. “I picked a flower from his garden and started talking to him about pollination as well as everything I had learnt in school about flowers and plants,” Andile told SU journalist Asiphe Nombewu. That day changed his life. His boss gave him hope and told him it was never too late to return to school. From then on he saved money for school fees and school uniform. 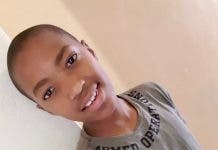 The following year he returned to school, and was awarded R700 for being a top achiever at Rusthof Secondary School… which enabled him to pay his Grade 12 fees. Through it all he still had to work part-time at the scrapyard to keep helping his mom, but he had amazing teachers… one of whom became like a mother. “The situation at home was bad and our shack was too small for all of us, but my teacher was kind enough to take me in for the duration of my Grade 12 examination and we became family,” he told SU. The university has opened lots of doors for Andile, he says – from working in research to doing motivational talks, becoming a mentor and even enjoying an excursion to the Antarctica in 2017! But he did struggle at the start to find his way around campus and “to get my hands on textbooks due to financial constraints”. Instead of just complaining about it, Andile has been motivated to start his own initiative whereby he mentors first-year students and collects books from former students to share with those who don’t have! Andile is determined to pursue his MSc in Earth Science… so that he can help enable a sustainable and environmentally friendly future for all of us. Did you check out these inspirational stories of our graduates at the April Graduation Ceremony? Their stories reminds us how perseverance helps you reach your goal.